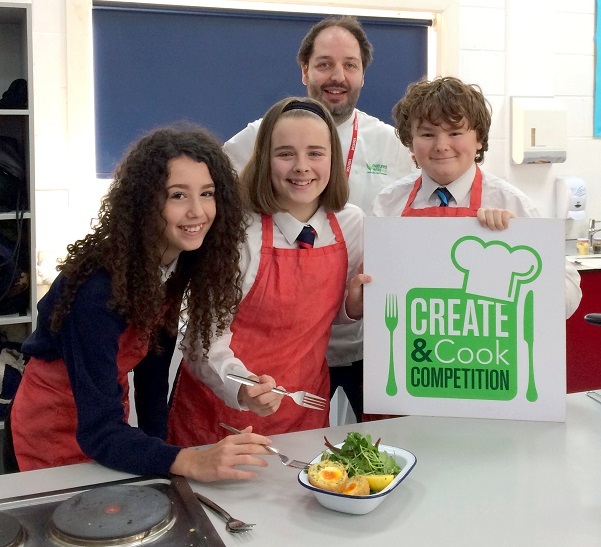 YOUNG cooks at Ormiston Six Villages Academy were inspired by a mouth-watering dish of crab and seasonal salad. The main course, completed by mustard dressing, was created during an inspirational morning at the Westergate school by professional chef Kristian Wright. Kristian is the development chef at Nature’s Way in Chichester. His workshop was aimed at enthusing students for the regional Create & Cook competition for 12-14 year-olds. Students are challenged to create a two-course menu with as many local and seasonal ingredients as possible. The aim is to celebrate regional food and learn about the seasons and sustainability. Min Raisman, from fit2cook food education, which runs the competition, was at the academy with Kristian. Nature’s Way supplies prepared salads and fruit, coleslaw and potato salad dressed salads and ‘food to go’ to some of the UK’s largest retailers.